2015 was a year of very strong development of e-commerce. Besides the rapid development of ecommerce, the needs to build ecommerce websites also increased a lot. Therefore, the technology to build a website in general, building ecommerce websites in particular are being earmarked for the development and upgrading to help customers more easily to use and support more useful features. To create an e-commerce website, we can mention a lot of diffirent open source/ecommerce platforms. 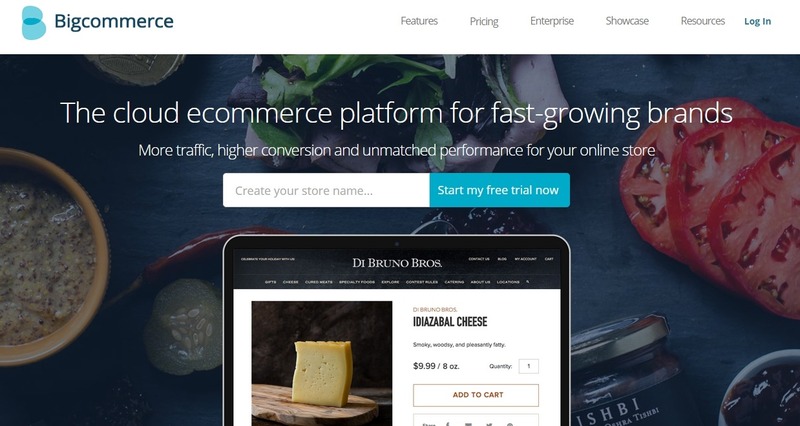 To be able to help those who are in need of building an ecommerce site can find an appropriate solution, in this article I will introduce to you the top 10 most popular ecommerce platforms at the moment. 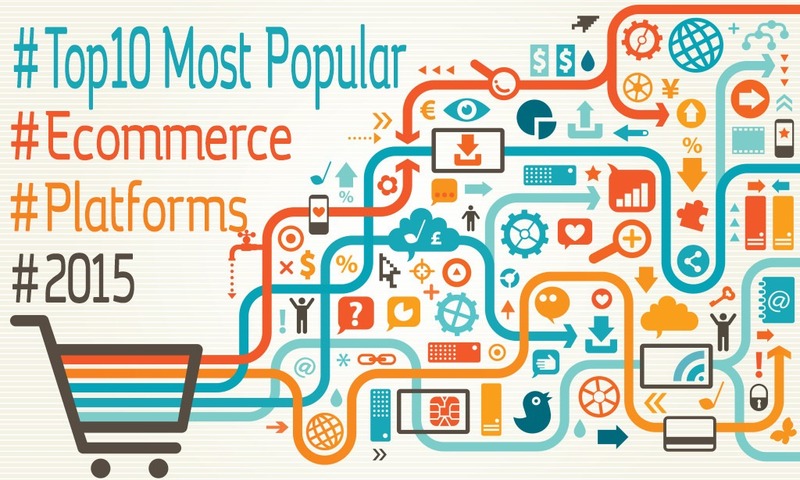 This is the most popular ecommerce platform in the world with over 30% market share. Developed since 2008, over the long-term development then woocommerce has gained trust from the users. Thanks to the very powerful features, convenience and useful that today WooCommerce become an ecommerce platform used by more than 400,000 websites worldwide. 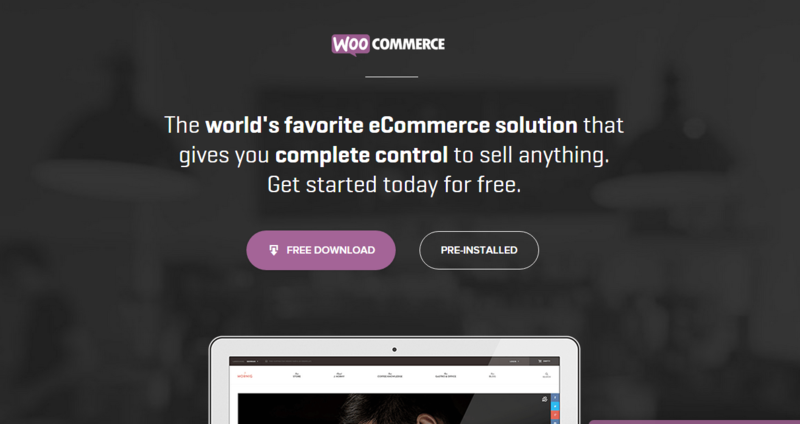 Maybe we do not need to talk more about this platform, it is no coincidence that Woocommerce are on top of the chart. Magento is a very famous name; this is a dedicated platform to create ecommerce websites. Magento be appreciated thanks to the powerful features, huge community and the supports from many developers. In addition, we can easily search and use many Magento extensions or Magento themes on market place to add/upgrade the features of your sites. Magento always be a good choice to building an ecommerce website! Shopify is an ecommerce solution which help you can create an ecommerce store easily without knowledge about hosting/server. Special, Shopify support many of the features for the sales through mobile devices (smartphone, tablet…). With many different prices for the different plans (Min: $9 for Lite, Max: $179 for Unlimited version), customers can choose the plan which is the most suitable for their business. Virtuemart run based on Joomla, a popular open source. Virtuemart inherits the powerful functionality of Joomla and adding more special features to support e-commerce. Users can also use many Virtuemart extensions and Virtuemart templates to upgrade their website. In 2015, Virtuemart market share slightly decreased compared with 2014. But with the effort from the developer, the new versions of Virtuemart was updated with many features consistent with trends helped Virtuemart partially regain market share from other platforms. Virtuemart is still a worthwhile choice! Prestashop is also a familiar name, was established in 2005, PrestaShop is a free, open source e-commerce solution. Prestashop supported for 2 versions: cloud-hosting and self-hosting, it allows customers to have more options when creating an online store. In addition, with a huge community of users and developers, prestashop also has a lot of modules, themes to support users. Bigcommerce is a privately held technology company that develops ecommerce software for businesses. 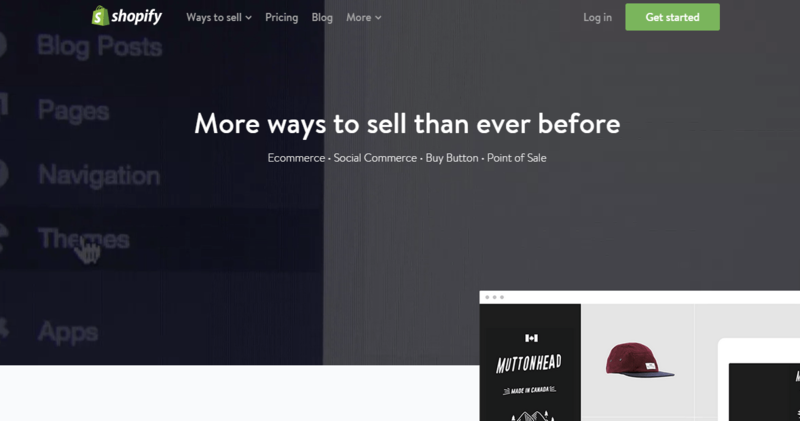 Works a bit similar with Shopify, Bigcommerce also has many different prices for different objects, for individuals ($ 29.95 / month) and for businesses ($ 79.95 / month – and more). With bigcommerce, users do not need to know much about web programming knowledge, the features of Bigcommerce has been integrated and optimized for the user. 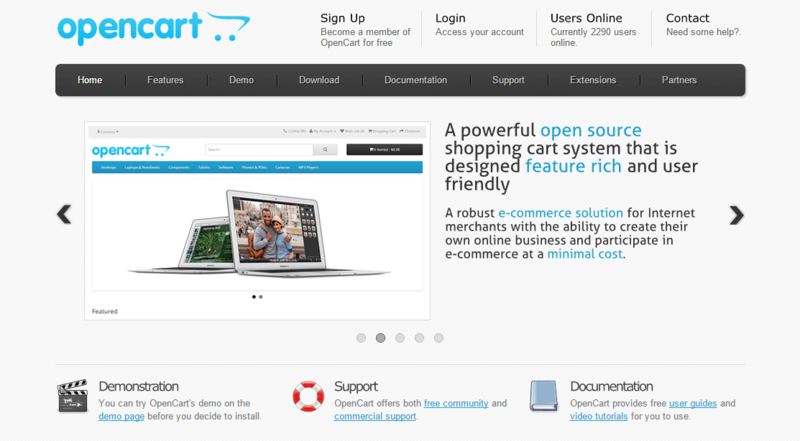 OpenCart is a robust ecommerce solution for Internet merchants with the ability to create their own online business and participate in e-commerce at a minimal cost. 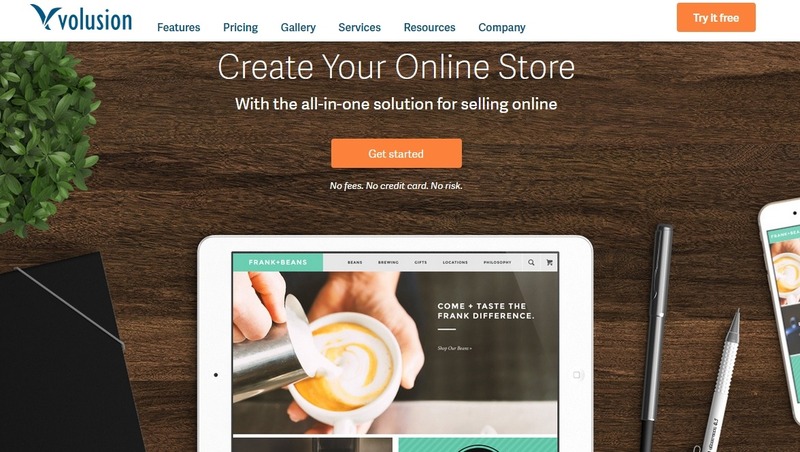 You can register and create an online store with ease. Opencart has been integrated these features useful for ecommerce, so you can use immediately after setting up the basic information. OsCommerce provide you the tools to set up your very own complete and self-hosted online store website for free to market and securely sell products and services to customers worldwide. 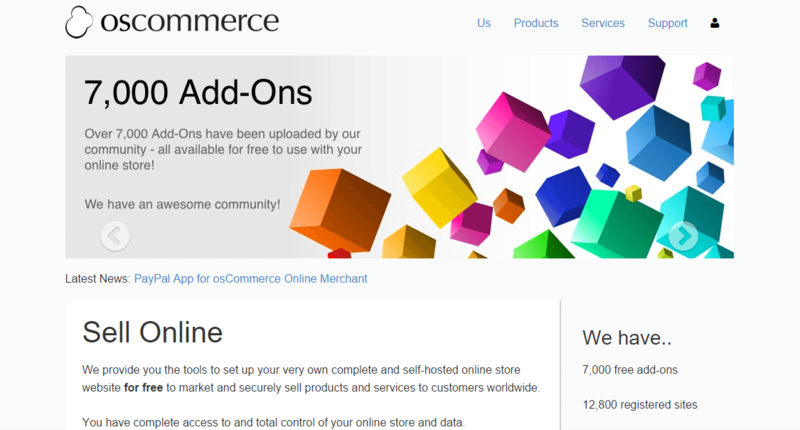 OsCommerce also offers you more than 7000 free addons which helps you upgrade your site. A product of a famous brand of computer products: IBM. 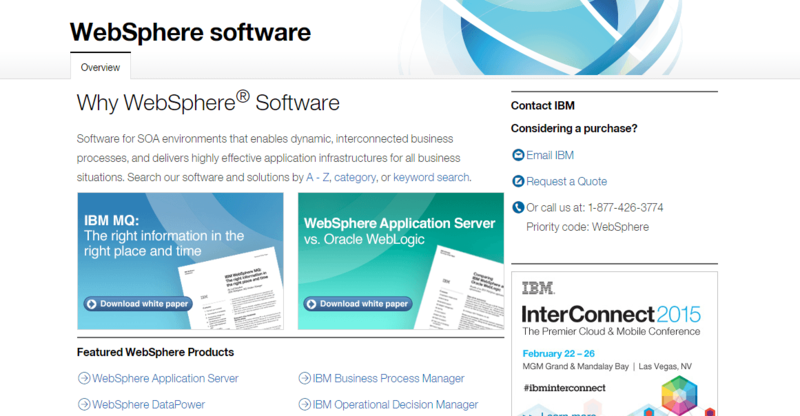 When we’re hearing about the name IBM, we immediately think about computer hardware, softwares… However, IBM Websphere is an ecommerce solution was developed by IBM. Perhaps IBM Websphere is developing towards businesses more than individual objects, so that is why IBM Websphere is not as common as other platforms. Volusion is an all-in-one e-commerce solution that gives online retailers the ability to build and run an effective e-store and sell the products they want to the people they want. Customizable templates makes designing an e-store easy and fun and all of Volusion’s templates are mobile-ready, allowing their users to reach all potential customers and let them buy however they like. Volusion’s software also gives users marketing tools to build sales, like email marketing campaigns and newsletters to keep their customers up to date with all of the new products or promotions they are offering. Hi, i'm Nick Demons, As an online marketer of CMSMart, I love seeing your engagement in our brilliant products and services. We're always here to make the best effort doing more nice products with outstanding and unique functions, as well as better after-sale services. Magento and WooCommerce: which one is suit for you? Grab Many Fantastic Vouchers In July At Cmsmart Now!